Address: Finlandia, 4, Puerto del Carmen (Lanzarote), Islas Canarias. This apartment complex has an outdoor pool, surrounded by gardens. 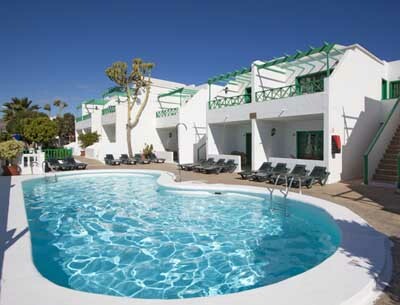 Set in the Puerto del Carmen resort of Lanzarote, it is 200 metres from the beach and offers free Wi-Fi. The Apartamentos Teneguía all have a private balcony or terrace. There is a fully equipped kitchen, and a private bathroom with a hairdryer and amenities. Video games and a DVD player are also available to rent. The Teneguía has a sun terrace and a library. Massages are available on site at an additional cost. There is bicycle and car rental. The complex is close to a bus stop, supermarket, shops and restaurants. Lanzarote Arrecife Airport is just 5 kilometres away. Free public parking is possible near the Teneguía. There is a golf course within 5 minutes. Diving, fishing and karting are possible nearby. Please inform Apartamentos Teneguía in advance of your expected arrival time. You can use the Special Requests box when booking, or contact the property directly with the contact details provided in your confirmation.